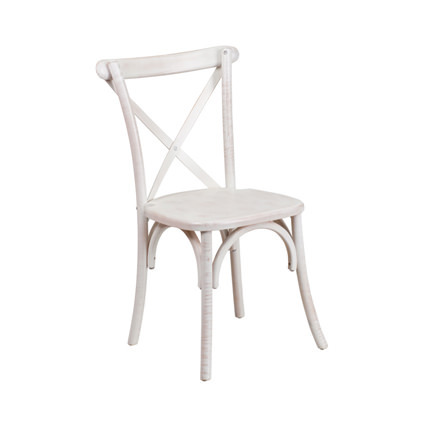 Our Napa Cross back chairs are made of solid wood and stunning. 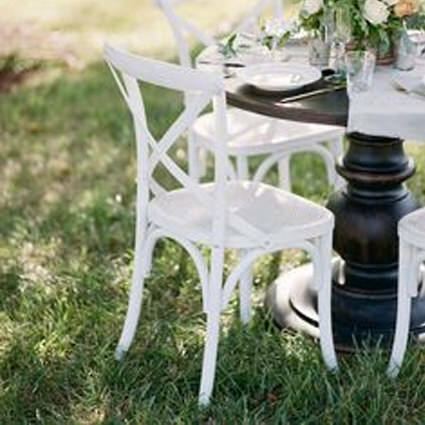 They not only come in a Natural color, to match our great rustic farm tables, but also a wedding white. You can not go wrong with this 'in-style' beauty of a chair.